SANTEE SMITH – Kahnyen’kehàka (Mohawk) Nation, Turtle Clan Tekaronhiáhkhwa Santee Smith is a pottery designer, performer, choreographer artistic director and producer who is from Six Nations of the Grand River. At the young age of 2 years old, Santee was creating her own dances and after an injury that left her with two broken legs, she went on to complete 6 years of formal dance training at Canada’s National Ballet School. After leaving the National Ballet School she completed post-secondary degrees in Physical Education and Psychology at McMaster University and then received her MA in Dance from York University. It was while she was working on her Masters that Santee completed her first major choreographic work Kaha:wi based on her family creation story. 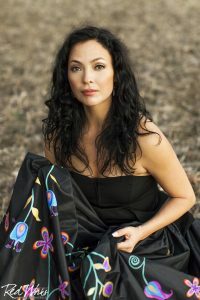 In 2005, Santee Smith founded Kaha:wi Dance Theatre which she would grow into an internationally renowned company sharing Indigenous artistic voice globally. Santee’s body of works include 12 full productions and over 9 short performance works. Santee has received nominations and awards for her artistry including: Ontario Arts Council’s K.M. Hunter Award for Dance, Chalmers Awards; Canada Council for the Art’s Victor Martyn Lynch-Staunton Award, John Hobday Award; Dora Mavor Moore Award for Outstanding Choreography in the Dance for Susuriwka – willow bridge among others. Santee is currently on tour with solo performance, NeoIndigenA and will be performing at the CULTCH from Feb 15-19, 2017.